This class is for an advanced beginner. 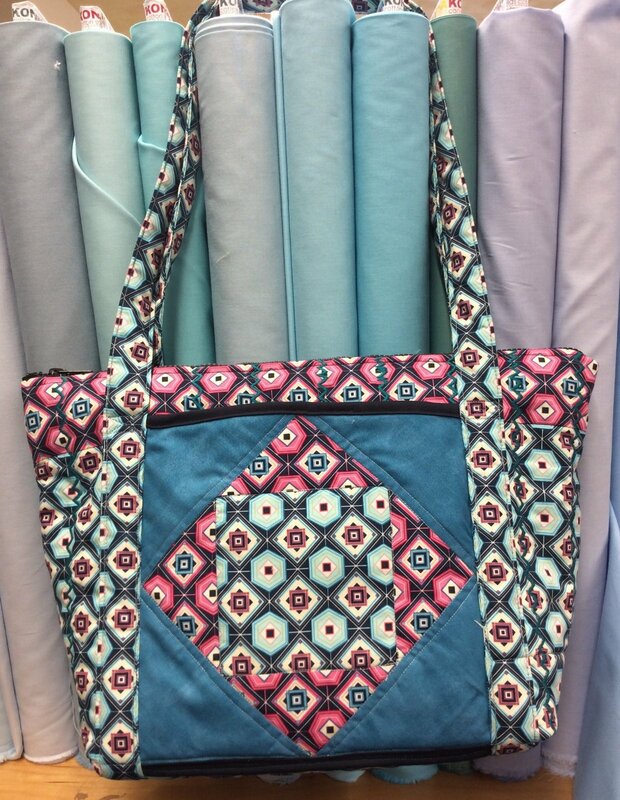 This purse has a total of 11 pockets, 3 of which are zippered. The bag also closes at the top with a Zipper. The outer 2 quilt block pockets allow for creative personalization. The finished size of the purse is 15" x 15". Sign up with a friend and get a $5 credit to the store to be used on your next purchase or class supplies. Before the first class you must buy the pattern and do what is listed on the supply list.